Here's what Kurt Warner, Brett Favre and others say parents should know. So your kid wants to play tackle football? 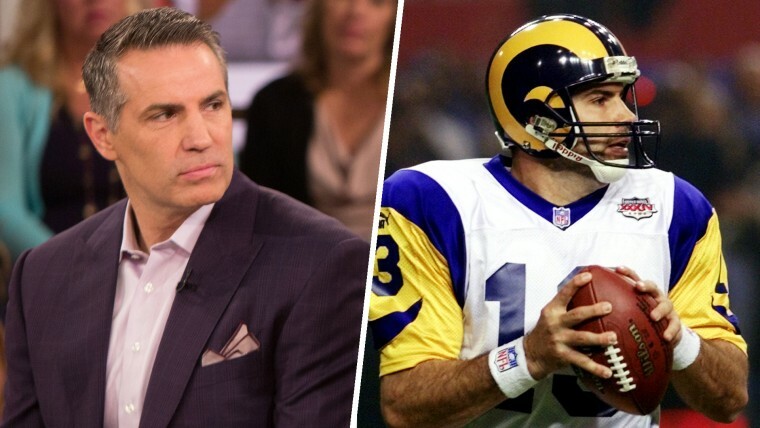 Take a deep breath, don’t freak out — and maybe consider flag football instead, says Kurt Warner, a Hall of Fame quarterback who played for the St. Louis Rams, the New York Giants and the Arizona Cardinals. “It’s like anything else when you’re a parent: if you know your child is at risk, you’re always concerned about that. I understand the football side of it, and what I gained from it and what it taught me,” he said, before on appearance on Megyn Kelly TODAY to discuss brain issues related to contact sports. There’s a reason Warner is so vigilant. Football has been linked to an incurable, degenerative brain disease called called Chronic Traumatic Encephalopathy (CTE), which is believed to be caused by repeated blows to the head and can only be diagnosed posthumously. CTE has also been found in boxers, soccer players, hockey players and military veterans. So yes, Warner’s son plays football. And he’s conflicted about it. He has taught his child that if he takes a hit, and feels off, that it’s time to get out of the game. “I never want my children to be in that situation. I want them to know that when they’re not 100 percent, that something is wrong, to communicate that and get out. I have pulled my kids out because they didn’t look right to me,” he said. Legendary Green Bay Packers quarterback Brett Favre said on Megyn Kelly TODAY, "If I had a son myself... I would really, really, strongly discourage him from playing. And that seems to surprise people when I tell them." For every family, whether your child tackles is a personal choice, said Warner. For him, another, safer option is flag football, which Warner said is a good way to show kids the basics of the game, without being knocked down and sustaining potentially harmful brain injuries. “I pulled my youngest child out of tackle football. He learned the game playing flag football. It’s a great avenue to be able to learn and fall in love with the game, and decide whether you want to play it long-term,” he said. In flag football, instead of tackling players, the defense removes the opposing team's flags. The basic rules of both games are the same. Warner doesn’t have a specific age in mind when he thinks it’s OK for kids to put on jerseys and helmets. But younger isn’t necessarily better, he said, and it's perfectly fine to wait until middle school or later. “I didn’t play tackle football until I was in seventh grade. I think you can have a great passion and develop great skills if you don’t start playing tackle football as soon as you’re out of the womb,” he said. Warner joined Megyn Kelly TODAY, along with retired Olympic soccer star Abby Wambach and MLB catcher David Ross, to talk about sports and brain injury. Wambach revealed that she plans to donate her brain to science when she dies. "That was a real naive kid who didn't want to face the truth," Wambach said about her comments as a younger player when she laughed off the risks of head injury. "As you get into retirement, that's when you start thinking about, 'What have I done here?' Now I think all of us are committed to the responsibility of making our sport better."